Weaning your infant can be a challenge, but these tips from our crèche near Parkmore will help make this a smooth transition for you and your little one. The right time to start weaning: Guidelines promote exclusive breastfeeding for the first 6 months of your child’s life, and a combination of breastfeeding and solids up until one year. Weaning can take place after that, or you can continue for as long you feel comfortable with it. Health and change: Breastfeeding is comfort as well as nutrition, and it’s a good idea to start the weaning process when your child is feeling healthy and settled. Big changes like starting crèche, moving to a new house and new routines, or feeling unwell can make weaning more difficult. What your baby wants: The most important factor in this process is your baby, and the best time to start weaning is when your little one shows interest in it by seeking out other foods/comfort, or can start drinking from a cup. 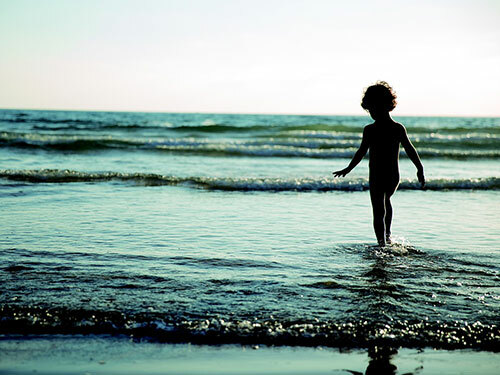 Some children start this at a year or earlier, while others only start self-weaning as toddlers. Mother-led weaning: If you’re unable to breastfeed your child through the day, you can start the weaning process yourself by slowly reducing the frequency of breastfeeding and introducing pumped breast milk or formula. The key is to do this very slowly at one feed a day and increase the bottle feeds over a few weeks. Shortened nursing time: This is another good strategy where you can reduce breastfeeding time per session. For children over 6 months, you can follow a short breastfeeding session with a healthy, age-appropriate snack, formula or pumped breastmilk. It’s easier to start this strategy with daytime feeds and slowly move towards decreasing night feeds. Postpone feeds: This strategy relies on your baby getting hungry enough that he or she will eat their food/have a bottle, but it’s important to time these just right. If they get too hungry, they’ll be frustrated and impatient, and mealtimes will be a struggle. At Doodlebugs Play School, we offer a safe, loving day care centre and crèche near Parkmore for your baby and toddler from 18 months to 4 years old. Fully supervised by our qualified, loving staff, our professional child care ensures that your little one will have fun, learn and explore the world while giving you complete peace of mind – you can see for yourself right here! To find out more about our daily routine or to visit our play school, please don’t hesitate to contact us for more information. We’ve all seen it happen – a toddler having a screaming, sobbing meltdown, often in a public place, as parents struggle to calm their child. In fact, it’s what most of us reading this have put our own parents through! These tantrums are difficult to deal with, but here are a few tips from our play school near Craighall to help keep them under control. 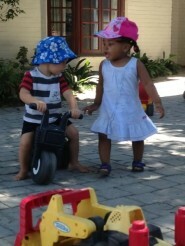 Remember that they are natural: Between the ages of 1-4 years, children are learning how to communicate effectively. But because they haven’t mastered these skills yet, they can get frustrated – resulting in a tantrum. This is all part of the natural learning process, and keeping that in mind can make them much easier to deal with. Normal tantrums or troublesome tantrums: Research has shown that around half of toddlers throw one or more tantrums a week, and this is considered fairly normal for this level of development and can generally be ignored as a real behavioural issue. However, if tantrums are far more frequent and far more intense, it’s best to take a closer look at what is triggering them and how they are being dealt with. What triggers the tantrum? Knowing what triggers a tantrum is an important part of dealing with them effectively. While they may seem to come out of nowhere, the main triggers tend to be change and testing the rules. Other factors like hunger, frustration or tiredness can quickly escalate the situation, so keeping these under control can help reduce the frequency and intensity of tantrums. Don’t give in: Unfortunately, the easiest way to stop a tantrum is to give your child what they want, but this isn’t a good strategy in the long term. Not only will it disrupt the rules and limitations you have set in place for your child, it will also encourage him or her to throw more tantrums in future. This will quickly become a difficult cycle to break. Not giving in will show your child that this strategy doesn’t work, encouraging them to try something else instead. Stay calm: This is very challenging, but staying calm and showing your child that their tantrum doesn’t affect you is important to stopping this behaviour. Sit and hold your child and tell them you love them but you can’t give them what you want. You can even remove him from the situation and take him somewhere quiet and calm to give him a time-out, like sitting in the car for a few minutes if you’re at the shops. Be positive: Learning these communication skills is hard work, so praise your child when they stay calm and do the right thing in a situation where they could’ve thrown a temper tantrum. This shows him that the right behaviour gets rewarded and builds a positive feedback situation rather than leaving him frustrated. 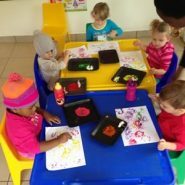 At Doodlebugs Play School near Craighall, we know that this is a critical time of learning and development for your little one. We aim to support it through a holistic nursery school curriculum that teaches through fun, safe and age-appropriate activities. With plenty of peers to play with, extensively trained crèche and professional child-care staff members to oversee all activities and a fun, childproof environment, we’re looking forward to bringing out the best in your child. Where to find the best day care for your baby in 2018! Choosing a day care is one of the first and most important decisions you can make for your child, and the right day care or crèche will play a critical role in helping your child reach those developmental milestones. Here are some tips for finding the perfect fit for you and your little one. Helpful, experienced staff: The day care’s team will oversee your child’s wellbeing while you’re away, so it’s important that they have the training and experience to keep your child happy, healthy and developing well. This includes educational and early childhood development training as well as first aid and child care training. A good atmosphere: The best childcare centres have an open-door policy with parents, making you feel welcome from the start. You should be able to view the centre on open days as well as by making a private booking, and be able to speak to everyone who would be involved in your child’s care. They should also have good lines of communication with parents, keeping you updated about what’s happening in your child’s development and at the centre itself. A holistic curriculum: An incredible amount of learning happens in the first few years of a child’s life, and the right day care will have a curriculum in place that supports this development. It should include age-appropriate activities that focus on learning through fun, and staff should track your child’s development throughout to support different strengths and weaknesses. A convenient location: Day care will become part of your daily routine, so it needs to work with your day-to-day activities. It should have a central location that is close to the route you take to and from work, offer holiday care, and be open for drop off and collection at convenient times. Health, happiness and learning at our day care in Sandton! At Doodlebugs Play School, we offer a safe, loving day care in Sandton for your baby from 18 months to 4 years old. Fully supervised by our qualified, affectionate staff, our professional child and day care centre ensures that your little one will have fun, learn and explore the world while giving you complete peace of mind. To find out more about our daily routine or to visit our crèche and play school, please don’t hesitate to contact us for more information. The summer holidays are here, a time when many parents understandably struggle to limit their little one’s screen time! Here are some tips from our play school near Parkmore for maintaining a healthy balance over the festive season. Make a flexible plan: Whether you’d like to limit your child to one hour of TV a day or one movie a day, it’s good to communicate your plan from the start by creating a designated time slot for TV. By establishing a routine, it becomes much easier to enforce, and makes sense to your little one. Play dates: Playing with friends is the biggest distraction you can offer your child, and since so many parents are trying to limit screen time, it makes sense to team up and make a plan for play dates. Try out different activities each time, like a trip to the park or zoo, to keep it fresh for yourself as well as your kids. Be a good role model: As with everything else, our little ones look to us as an example of what they should be doing – and it’s difficult to help them see why the TV isn’t good for them if we have it on for ourselves all day! Try to keep up with other activities through the hours your child is up and about, and you can always catch up on your TV after their bedtime. Quality counts: If you’re going to have screen time, you can make it more productive for your child by choosing great quality programmes. From kid’s movies and series embodied with positive messages, to shows that are educational or are participatory, TV can play a positive role in your child’s development. Activate parental controls: One thing most parents are astonished by is how quickly children pick up how to use electronic devices, which means it’s very important to make sure parental controls are activated from a very young age! This will limit what your child can have access to in terms of apps and TV channels, as well as implementing password protection that ensures only you can access the devices. Fun Christmas projects for you and your child! 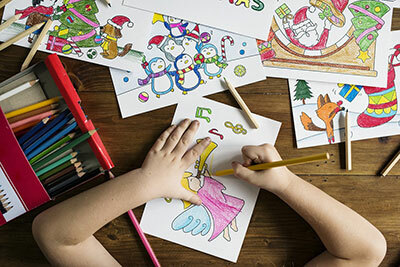 Crafting over Christmas is a great boredom-buster that keeps little hands busy, celebrates a wonderful time of year, and even helps develop those essential early development skills! Here are some easy crafts that will help your little one have fun and hit those milestones, from our team at our nursery school near Craighall. 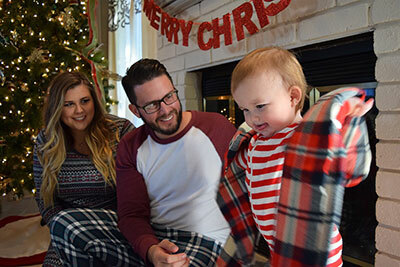 Family Christmas cards: Handmade cards are the best cards, so why not make these a family crafting project. Gather glue, wrapping paper scraps, glitter, buttons, ribbon and colour markers together in festive colours and let your kids go wild decorating cut-out cards for family and friends. Santa’s plate: If you like leaving milk and cookies out for Father Christmas, then why not do it on a special plate? Pop into your local store for a plain white plate and visit your craft store for ceramic paints and get as creative as you like. If you want, you can substitute it with a paper plate and non-toxic paints. Make your own gift wrap: All you have to do for this simple project is get as many meters of plain brown or white paper (the type you see in big rolls in craft stores) as you need and then set up your decorating station. One great idea is to make potato stamps in festive shapes (like Christmas trees or stars) and either buy some non-toxic paint or make your own. Christmas cookies: A lovely handmade gift, this is a tasty festive treat! Using any cookie recipe you like (ginger, vanilla and plain sugar cookies work well), make your dough and cut out various festive shapes, and bake until ready. Your little one can help decorate them with coloured icing and any pretty festive toppings you like! A Christmas wreath: Take a paper plate and cut out the centre, leaving the outer circular edge intact. Then it’s time for your toddler to decorate! Non-toxic paints, ribbon, glitter, buttons and cut-outs of snowflakes holly leaves and presents are all great – and cheap – decorations that will bring your wreath to life. You can hang a single wreath over your door, or connect a few of different sizes together with ribbon for a bigger impact. Christmas Village at Montecasino: Discover a traditional European Christmas Village in the heart of Sandton! With a huge range of gift and food stalls, entertainment and festive décor, this is a great treat for the family. It’s on from 29 November to 3 December. Aladdin: This magical Disney musical comes to life at the Irene Village Theatre in Centurion, featuring top local talent. It’s on from 2-16 December. Beach Festival: The seaside is coming to Joburg! This much-loved annual event is great for kids of all ages – and adults – and is hosted at the Silverstar Casino on the West Rand. Kirstenbosch Summer Concerts: Pack a picnic and enjoy a live outdoor concert on the lawns of South Africa’s National Botanical Gardens. It’s the perfect opportunity for kids and adults to relax, enjoy the beautiful weather and local music. They’re on from 20 November – 2 April, with Christmas carols on 15-18 December. The Frog Prince: Artscape Theatre in Cape Town is hosting a wonderful production that your kids will love, an entrancing fairy tale about a prince who is turned into a frog! This is on from 9-23 December. Christmas concert: There are many Christmas concerts held in the Cape, but one of our favourites is held at Groot Constantia. Ideal for the whole family, the Annual Festive Concert of the Cape Town Symphony Choir is all about enjoying Christmas carols and picnic baskets as you relax in some of the Cape’s most beautiful surroundings. Sinbad the Sailor: Nothing is more fun for little ones than a traditional panto, and this year’s offering from KickstArt is a fun romp around the Seven Seas. It’s on from 1 December – 7 January. Al Ansaar Souk and Trade Fair: With everything from live performances and kiddies rides to cooking demonstrations and shopping stalls, this fair has something for everyone. It’s on from 22 December – 1 January. Umgeni Steam Railway: A beautiful journey through the valley on an amazing steam train is something to remember! It happens on the first and last Sunday of each month, and there’s a special Christmas Carol journey from 15 – 24 December with Santa! Packing tips for your summer holidays! For many parents, the most intimidating part of having a little one is the amount of stuff you need to take with you everywhere you go! And at no time is this truer than when you are packing to go on holiday. As we all get ready to hop in the car and travel to see family and friends this festive season, these tips from our play school in Sandton will help ensure you have all the essentials. Lists, lists, lists: When it comes to travel prep, lists are your friends, so start making them up a few weeks before the big day. Use one to keep track of how many outfits/nappies/etc. your little one goes through per day, to help you calculate your packing requirements. What you need in the car: Make a checklist of all the things you’ll need close at hand, including food, an extra set of clothes, eating utensils, nappies, sippy cups, and lots of hand wipes. A good idea is to have an extra outfit or top for yourself as well, just in case there are any accidents. Portable changing equipment: You never really know when a dirty nappy is going to strike, so a well-equipped diaper bag is essential. Along with nappies, you can include a disposable changing pad, plastic bags for nappy disposal, wipes and bum cream, as well as a favourite toy or blanket as a distraction. Safety, comfort and entertainment: Make sure your car seat is properly installed and ready for your little one, and that it’s positioned on the right-hand passenger side in the back seat so that the passenger in the front can easily reach over to your little one. 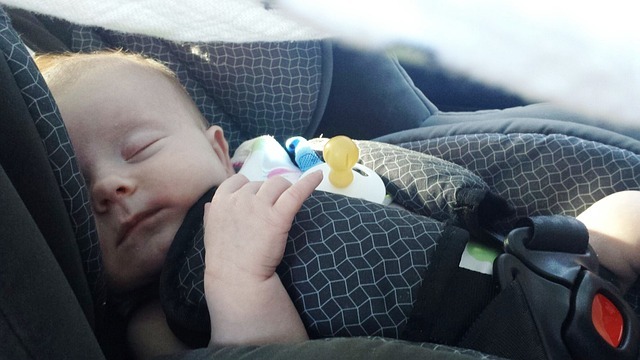 Don’t forget a blanket and favourite toy for comfort, as well as a sun screen to block out light from the car window. Audiobooks make wonderful entertainment for long drives, and little ones often fall asleep just to the sound of the voice reading the story, so it doesn’t necessarily need to be a kids book. Think travel-size: Most parents prefer to buy their kid’s toiletries in bulk, but this makes them a challenge when it comes to packing. Rather, if it’s possible, buy an empty toiletry travel pack from your pharmacy and fill each bottle with a small amount of shampoo, moisturiser and other toiletries. This is ideal if you aren’t going away for long, or if you can stock up at your destination. Call ahead: If you’re staying at a hotel, resort or even an AirBnB, they often have useful kid’s equipment on hand, including travel cots, feeding chairs and other essential but bulky items. Using their equipment will go a long way to saving on space and hassle while you travel, so call ahead and see what they can offer you. Visit our play school in Sandton and give your little one the best start in life! 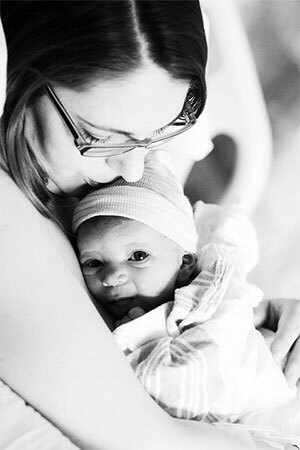 We answer the most popular questions asked by new parents! Here are some answers to some of the most common questions asked by new parents, from the team at our crèche near Parkmore. If you’re breastfeeding, it can be difficult to tell just how much food your little one is getting. And for formula-fed babies, the tin is simply a guideline. The best way to tell if your baby is eating enough is through regular weigh-ins that your paediatrician can schedule. They can also tell you how much weight your child should be putting on, what you can expect and give you advice on how to increase feeds. How do I teach my baby to sleep at night? Infants will wake up for feeds and nappy changes, but there ways to teach your child to sleep predominantly at night – being diurnal is something they have to actually learn! During the day, be energetic and upbeat, and go outdoors with your baby. At night time, lower the lights and choose calm, soothing activities like a gentle bath and lullaby. This will start teaching your baby what’s expected at different times of the day. Despite popular thinking, bonding doesn’t always happen instantly, and new parents shouldn’t worry. Take a slow and gradual approach to bonding with your little one and remember that you’re adjusting to a big change in your life, so don’t be hard on yourself. Some activities that can help the bonding process include breastfeeding, carrying your infant in a close-body carrier, spending time with your child in the calmer parts of the day, and even giving yourself a time-out to relax and re-energise. What is the right age for starting crèche or day care? If you ask this question, you’re going to get a lot of different answers, but if you are returning to work or want your child to attend day care, most specialists agree that it’s best to avoid crèche when your baby is less than 6 months old. The best advice we can give you is to choose a facility that specialises in your child’s age group, however, as they will have the training, equipment and expertise to give your child the right support – and to give you peace of mind. Sleep is important for parents and babies, keeping us physically healthy and mentally fit. It’s also critical for your infant’s brain development, as this is the time when new neural pathways are strengthened as they learn new skills. Unfortunately, many new parents struggle to get a good night’s sleep. Here are some tips from our day care near Craighall for getting your infant to sleep through the night. Swaddling: For newborns and up to 4-5 months old, swaddling is recommended by baby specialists. This method of wrapping your baby prevents their instinctive startle reflex from jerking them out of sleep. If you don’t know how to swaddle your baby properly, ask your paediatrician or nurse to show you this useful technique! Create a routine: We are all creatures of routine, and by associating specific activities with bedtime, parents can help infants get into the right mode to fall asleep. Try quiet, quick activities, like a warm bath and putting on soft pyjamas followed by a lullaby. The last part should always take place where your baby is going to sleep. Strategic nappy changes: Nappy changes are not something most infants enjoy, and feeding is far more soothing, so change your baby’s nappy before you do your late night feed. This will help calm them and make falling back to sleep much easier. Teach them to self-soothe: This is essentially about teaching your little one how to fall back to sleep by themselves. Lay your baby down to sleep when he is drowsy but not yet asleep. If you hear gurgling, wait and see what happens rather than rushing back in. If your baby cries, wait a few moments to see if they can fall asleep and then go in and soothe your baby for a few minutes without picking him up (only do this if he is very upset) and see if he calms down. 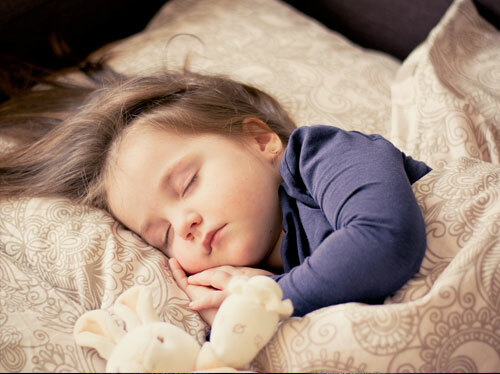 Repeating this will help teach your little one how to fall asleep independently. Comforting smells: If your baby is over 6 months, you can give them a bedtime comforter like a soft toy or blanket. This works best if it smells of you, so keep it with you for a few hours. If your baby is younger than 6 months, these comforting objects are a health risk, so it’s better to include your scent in a different way – for example, making sure the swaddling blanket smells like you.